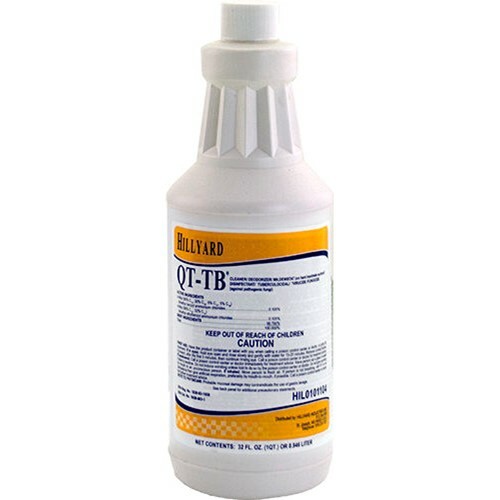 QT-TB,hospital grade quaternary disinfectant cleaner with the tuberculocidal claim. Tested and evaluated to be an effective virucide in the presence of 5percent blood serum against HIV-1 and Canine Parvovirus,kills HBV (Hepatitis B Virus) on precleaned, environmental surfaces. Ready to use. Designed specifically for institutional cleaning and disinfection. Ready-to-use, spray formula makes it easy to use.